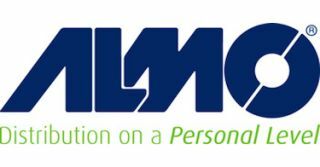 Almo Professional A/V announced the E4 AV Tour, its training and networking event for resellers, integrators and consultants, is coming this fall to Boston, MA on September 23 and Dallas, Texas on October 18. Continuing the theme “Experience Your Future Now,” E4 is promises a day of training sessions worth InfoComm Renewal Units (RUs), hands-on workshops, product and service launches and new manufacturing partners. Due to its great interest this spring, E4 begins again with a keynote focused specifically on 4K. Led by Gary Kayye, founder of rAVe Publications, the session (worth 1.5 RUs) discusses the misinformation about 4K, such as exaggerated specs, compatibility and performance. Kayye teaches how to specify, sell and integrate these systems right the first time with just the facts and shares the top four applications for 4K. This session will be streamed live on Facebook. · Design a Huddle Space. Put the finishing touches on the design for an interactive huddle space. Use tools such as Barco’s ClickShare to experience how to share, collaborate and inspire. · Behind the Scenes: Creating the E4 Digital Signage. Learn how digital signage is created behind the scenes for the E4 AV Tour using BrightSign’s BrightAuthor software. Participants will have the opportunity to create and publish their own digital signage. Samsung’s exclusive showcase room will feature a creative mix of indoor SMART LED signage, semi-outdoor high ambient light displays for storefronts, outdoor displays certified to withstand the elements, a videowall made with seamless tiling and embedded System-on-Chip (SoC) technology, an interactive 82-inch E-Board display solution, a mirror display, and products from the new Samsung 4K display series. The Samsung Showcase will also include an outdoor display course that highlights research pertaining to outdoor commercial display marketing conditions, what end users look for in outdoor displays, the ROI end users gain for leveraging outdoor technology, and ways to bring bright, brilliant messages outside.